Windows 10 should have a ‘disable desktop’ option. 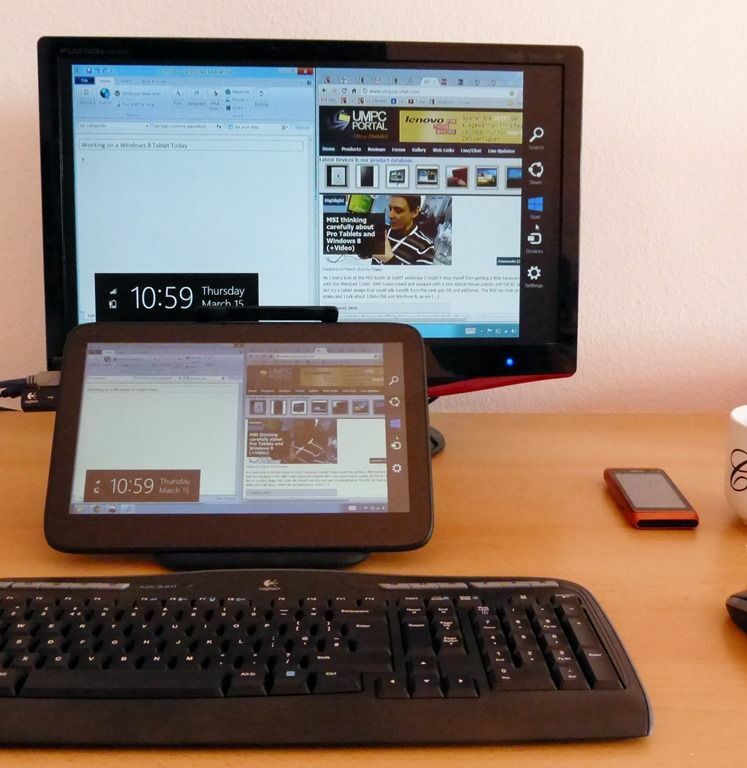 For those of us that respect the flexibility of a fully functioning desktop PC in the palm of one’s hand the information, just a tweet, that Windows 10 tablet products under 8-inches will not have desktop capability is bad news. But there are advantages to using an RT-only setup on Windows. There are few sub 8-inch tablets around that will be affected so the new restrictions won’t affect many people but take a look at the industry-focused, Core-i5 Panasonic Toughpad FZ-M1. This is a product that relies on the desktop for Win32 desktop apps. I’ve seen others industry-focused solutions at 7-inches too. As CPU sizes fall and efficiency increases we’re able to do more and more on the low-end tablet PCs. I’ve demonstrated docked solutions many times and without a desktop all that functionality and flexibility is lost. Do you really want a full-HD screen where you can’t run a full edition of the Chrome Browser. 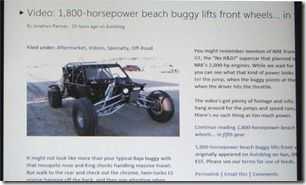 I still use Windows Live Gallery, Putty, Audacity and many of my benchmarking apps are Win32 apps. 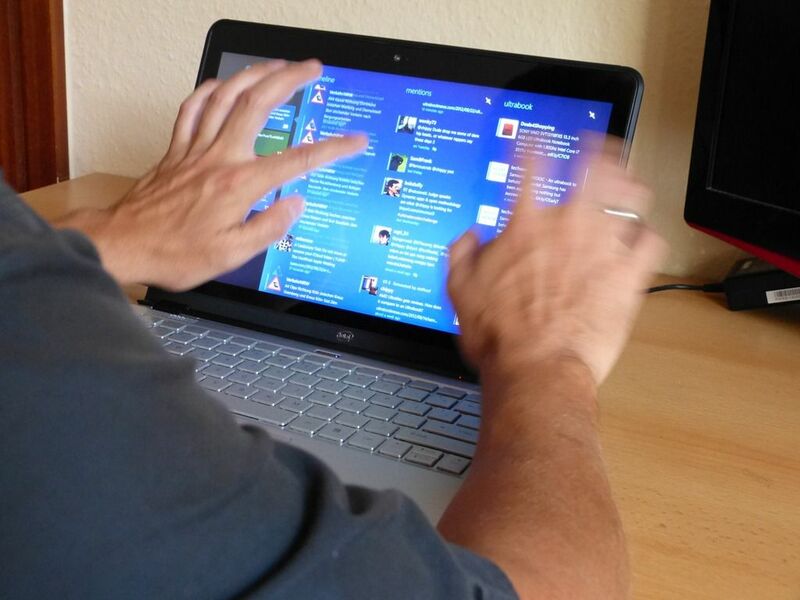 There are a large number of Win32 apps out there that are finger-focused too. 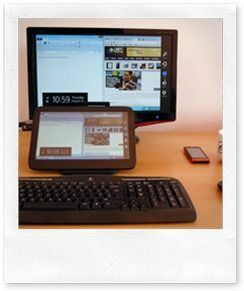 Having a desktop option means having flexibility and that’s what many people enjoy about small-screen Windows tablets. But the desktop is old, boring, insecure and heavyweight. Isn’t it time to turn it off on consumer touch tablets or to, at least, having the option? In essence, RT on X86 (via a disabled desktop) is not a bad thing. By reducing Windows to the ‘RT hypervisor’ means that you get a more efficient and more secure environment without the shock of an unusable touch-desktop and desktop settings screen. ‘RT’ mode would be great for 8-inch and 10-inch tablets with 1GB too as it frees up RAM and reduces hardware requirements. There’s even a case for disabling the desktop in larger devices. As 12.5 and 13.3-inch devices get smaller and lighter there’s a growing market for big-screen readers. Windows desktop the OS can be smaller meaning that the mainboard requirements (and cost and size) fall for these consumer-centric devices. The old issue of having a restricted choice of Modern applications is falling away and will get a big boost from the new set of ‘RT’ apps that Microsoft will introduce in Windows 10. Office is a good example. Update: As suggested in the comments, if you support this option, go to Uservoice and add your vote. Here. The question of having a desktop or not having a desktop remains open in my opinion. There are very good cases for removing it and not just on 7-inch devices. The brief information from the Microsoft tweet didn’t exactly cover all cases either so we can’t draw any conclusions as to what will really happen after feedback. What about fresh Windows 10 installs or installs that use an external display, installs that trick the OS into thinking the screen size is more than 8-inches. At least we know that existing Windows devices will get an update to Windows 10 with the desktop… “Folks asking about updating 7″ *existing* devices to Win10 — you keep your desktop, you get continuum. Go try it yourself now,” is what we saw in a follow-up tweet indicating, to me, that this is just a move by Microsoft to make it easier, and cheaper, for consumer-focused tablet manufacturers. Specialist devices like the Panasonic Toughpad might get the full-fat image installed and we’ll probably find work-around. RT-only mode is important for security, efficiency, standby features and for promoting Universal apps too but please, Microsoft, let us have the choice. Modern: Helping to seed a unified Store through low-cost tablets. 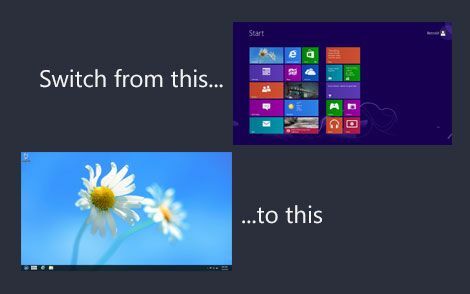 From a mainstream perspective by a user-interface expert sitting at a desktop PC it’s easy to see why Windows 8 Modern got this poor feedback. It’s shockingly different for some people and doesn’t reach the ease-of-use levels of the IOS or Google Android OS. Unfortunately for Modern haters there’s a while to go before you’ll be able to turn that UI off because the Store needs a springboard. Store unification is coming but will only work with two healthy ecosystems. Modern is helping to grow the big-screen Store through low-cost tablet sales. Opinion Comments Off on Modern: Helping to seed a unified Store through low-cost tablets. Every major computer manufacturer is now offering Windows 8 Ultrabooks since the launch of the new operating system on October 26th. 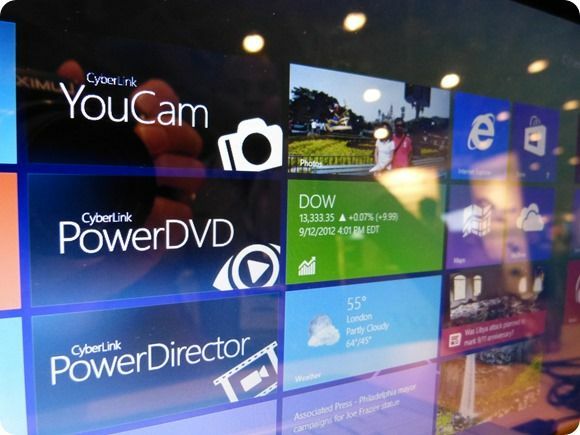 For many, Windows 8 is going to offer some welcomed improvements. For others it is going to offer little but confusion and frustration. RetroUI is a piece of software by Thinix which brings back the things you’ve gotten used to in Windows over the last many versions of the OS. I met with Cyberlink at IDF2012 and had a great demo and hands-on with their new media suite. In fact, there’s something about the video editor that makes me want to get a Core-based tablet right way for my trade-show videos. 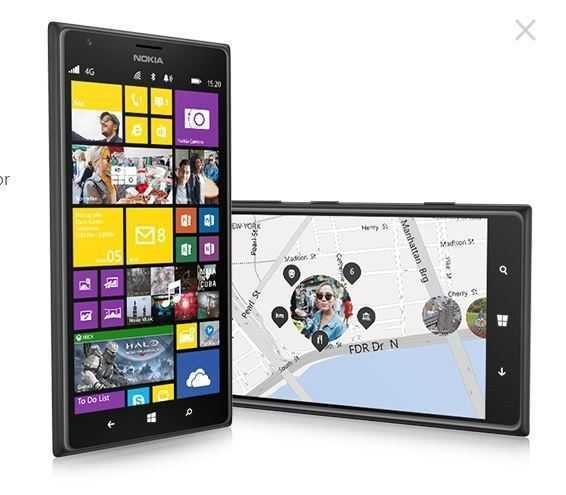 It’s really fast, easy and mobile. As well as learning a lot about Ultrabook sensors and features this week I also learnt a new word. Spelunking might sound like a fetish but apparently it’s about exploring caves! Let’s do a bit of spelunking right now in the cave known as the Ultimate Coder Ultrabook Challenge. In week3 we’re getting down to serious detail. You’ll see this touchscreen Ultrabook used extensively over the next month or so as I explore and demonstrate software and operating system elements. In this video I want to answer one of the most often asked questions – why have a touchscreen on a laptop when your hands need to be near the mouse and keyboard? I’ve been using touchscreen devices since 2007. For over 1 year I used a touchscreen netbook as my only laptop, It was running Windows XP (not tablet edition) and had a resistive touchscreen. Even with all those limitations there were scenarios where I found using touch to be an advantage. Sometimes it’s not natural but sometimes it’s worth it. I was invited by Intel to meet some developers yesterday. 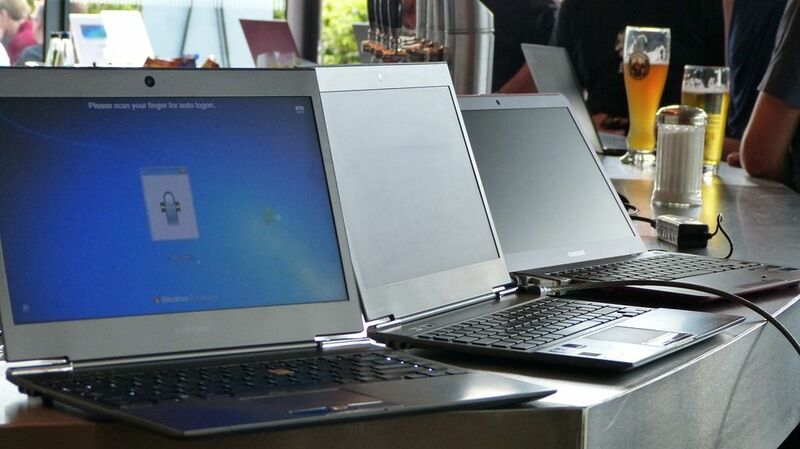 The Intel Ultrabook developers meet-up in Munich was casual and informative. We all enjoyed hands-on with some of the latest Ultrabooks but the conversation about why Ultrabooks could be interesting for developers was, for me, more interesting. 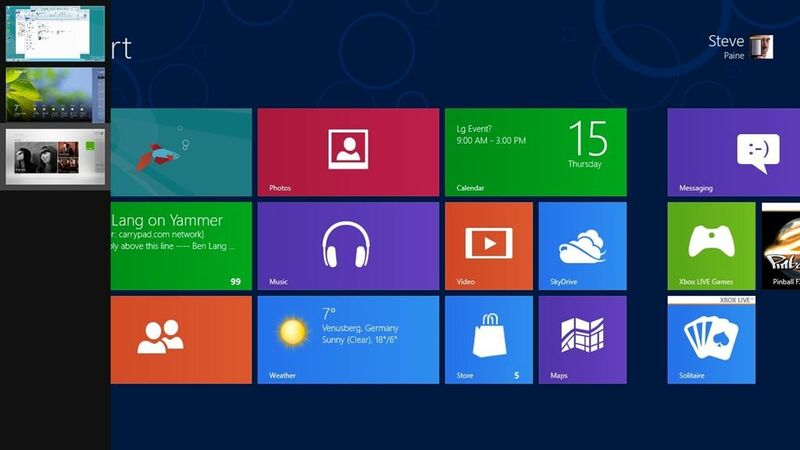 Windows 8 – Is the UI really That Hard to Understand? I’ve read a lot of negative press about the Windows 8 user experience recently which seems to focus on a ‘problem’ created by having two user interfaces that will confuse users. I just don’t see that issue. Sure, there will be some new things to learn, every new system has a learning curve, but I don’t see huge barriers in Windows 8. 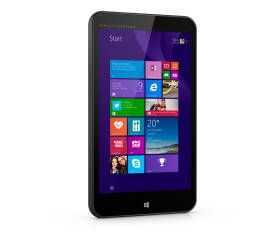 Today I’m working on a Windows 8 Tablet. I’m working, which means I’ve got a keyboard, a mouse and a large screen in front of me. Windows booted quickly on this Atom-based tablet PC (ExoPC) and because I just wanted to do some Chrome work and write this post I went straight to the desktop by clicking ‘Desktop.’ It works like any laptop or desktop. I’ve been in ‘desktop’ all the time I’ve had my bum on my seat (apart from taking a few images) and as you would expect, Metro is not causing me any problems. I can switch to it very easily by dragging the mouse to the top left, bottom left corner or pressing the Windows key, Alt-Tab and other methods that didn’t take me too long to work out. If you want to use Windows 8 like you used Windows 7 there’s no issue. On my keyboard I even have an Alt-Tab button that looks like a set of Windows, a media button that starts Media Player (in the Desktop) or I can even just start typing â€œdesktop inch and I’ll be shown the shortcut to hit. If in doubt, press the Windows key and start typing. Word, Desktop, Mail, Photo, Music, Help. You can even type the name of a file or a setting. They all work! If you don’t have a keyboard, swipe from right and press the search button. How simple do people actually need this to be to be convinced that if you want the Desktop it’s there and if you want to do stuff when you don’t have a keyboard, there’s a new interface that can really help. You can get going on day 1, and start discovering after you’ve read your email! Windows 8 is not a Fischer Price toy or a gaming console, it’s a rich operating system that can help you get things done like few other operating systems can, either with keyboard and mouse or with a finger. Some people may take a few minutes to understand this idea but isn’t that just normal, and worth the time, for a rich operating system? 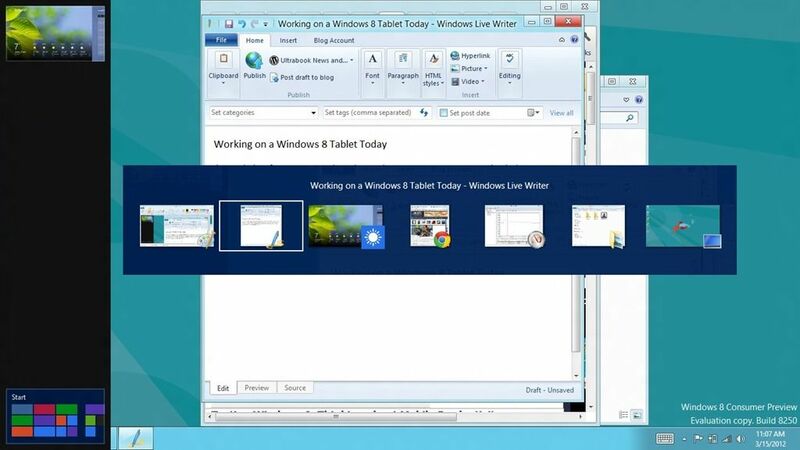 In a detailed Windows 8 post last week I outlined some issues around Windows 8 and mobility. One of the biggest issues is the resolution requirements. 1366×768 is going to he expensive to implement on 10″ and smaller screens. I also found a lot of issues with portrait mode. The apps included in the developer edition weren’t optimised for portrait mode at all. Fortunately most ofbthe problems lie in the applications and not the operating system itself. 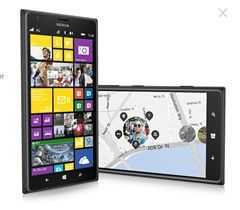 In the video below, Microsoft talk directly about portrait mode. It’s very much a promo video but its good to know that Microsoft are on the case. I like to think that the article and detailed comments helped. Keep thone thoughts flowing. Many of us have downloaded the Windows 8 Developer Preview to give it a test run and I think it’s fair to say that the most exciting feature to test is the Windows 8 Metro UI. Focused on touch, app-snacking, consumption and entertainment it has been an interesting product to think about in terms of mobile computing; real mobile computing. Getting the balance of UI right for both on-the-go and bum-on-seat activities hasn’t been achieved by anyone yet. Windows 8 is the big hope for that in the future. Not only does Windows 8 introduce this interesting Metro UI and apps layer, it also approaches quick-startup and efficiency. In testing it over the last few weeks on four mobile devices, I’m not as positive as a was a month ago about the Metro UI although it’s way better than anything I’ve experienced as an overlay on Windows before and ultimately, I’m enjoying its responsiveness, sharing sub-system, full-screen Explore browser and dynamic nature. There are some serious issues to talk about though. The first is that while Metro works on low-resolution devices, the apps won’t because they require a minimum of 768 pixels vertically. For the side-by-side snap feature, you need 1366 pixels minimum width. There are also major issues when working in portrait mode â€“ something that isn’t really supported at all. The resolution restriction seems crazy when you consider the cost and size of 1366×768 screens. I don’t see anyone producing that at 7″ and as it’s not compatible with 1024×600, 100 million netbooks users are going to be left out. You might argue that we just need much higher resolution screens. 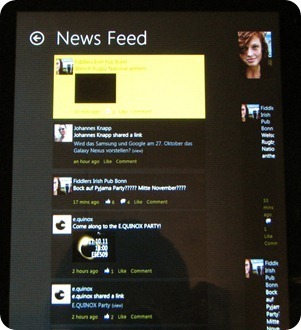 I’ve tried Windows 8 on a 1280×800 screen at 5.8″ and yes, Metro apps work. Text might need a little enlargement here and there but it works. Some issues remain though. Touchscreens can’t be recessed otherwise it’s not easy to find the magic swipe that expose the hidden menus on the right and bottom left corner. Forget resistive screens. That’s not such a big deal considering the level of capacitive and digitiser deployment and it’s also not much of an issue for the classic Windows UI either as that’s the one you’ll be using who you’re docked at your desk. The other issue comes with cost and battery drain. High resolution screens are expensive to produce, especially if you want one that’s readable outdoors. There’s also the power cost in terms of the display electronics and the graphics power needed to control it. Given that most people are more than happy with 200ppi, a higher density in a 7″ frame is counter-productive, at least for large-font Metro. People with perfect eyesight may disagree with 200ppi but I regard it as a good trade-off point for screen design. It’s unfortunate that the developer preview is indicating that portrait mode isn’t encouraged. All the apps in the preview fail to work efficiently in portrait mode despite that fact that in portrait mode you get the best split-screen keyboard experience and preservation of screen real estate. I agree with those that say portrait is useless on a top-heavy device of 2lb or more but what about 2013, 2014 when 10 inch Windows 8 tablets could be under 1lb and when even the 7 inch form factor could be possible with a hi-res screen? To demonstrate what I mean here, I’ve made a video showing the Windows 8 developer preview on an ExoPC in portrait and landcsape modes.